The seasons change, but the snubs never do. When the Nike Cross Nationals decision committee gathered via a conference call on November 24 to discuss potential at-large team candidates for the national championship on December 1 in Portland, Oregon, there were a range of programs the committee considered. 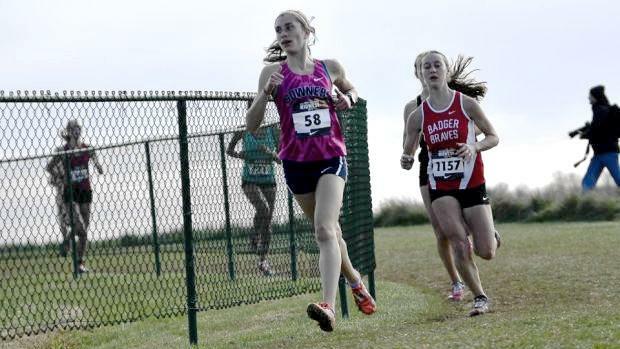 With nine regions completed and 36 auto-qualifiers already decided, that left just four at-large teams on both sides of the equation -- the boys and girls races -- to determine. Nine committee members from each of the nine classifications -- it's comprised of selected media members and coaches from each region -- vote on the at-large candidates. A majority consensus has to be decided upon in every case. The committee monitors the cross country season as a whole, not just the postseason period. The main criteria imposed upon the selection process is lined up in a paragraph in the "NXN FAQ" section of NXN's website, but essential to that standard is that great weight will be imparted on teams who finish in third-place and that wins over auto-qualifiers are of utmost importance. Of course, beyond that -- you can assume -- factors could also include strength of schedule, out-of-state results, championship wins, team average and previous history at NXN. Two teams from every region are given auto-qualifying bids to NXN, which totals to 18 qualifiers per gender. Then out of all nine divisions, four at-large picks are determined from third- and fourth-place teams across competition in each the girls and boys fields. What makes this process difficult is that there's usually more than meets the eye. Some teams may deserve spots that don't finish in third-place. The strength of a region may eclipse the relative solid resume of another team. Without further adieu, let's get to the potential teams the committee missed. We decided to focus on two in particular. If you have thoughts and/or comments to add, make sure to write in the comments below.